There are an infinite number of ways to get more active and improve your fitness. Thanks to social media, all you need to do is scroll through your Instagram feed to see videos of people showing you new exercises to try, or the latest fad weight loss product. However, the problem with these fads is that they don’t help in the long term, either because they are ineffective or difficult to keep up. Head down to any gym and you’ll see two groups of people: the cardio bunnies who like to spend an hour or more running on a treadmill and the weight lifters who much prefer to spend their gym time pumping iron. The secret to a good fitness routine is to find a balance between these two, but this can be difficult and trips to the gym can become boring, making it easy to find an excuse to miss a session. If this is you, then boxing may be the solution. A good boxer will be one of the fittest and most able athletes you will find, capable of sustaining high levels of strength and stamina whilst also taking a few punches. Whilst you may not be a fan of watching major world championship bouts, like the recent Errol Spence vs Mike Garcia fight, where the -350 favourite Spence won after a full 12 rounds, you may find boxing a great way to get fit. Recent research into health and fitness has placed emphasis on what is known as High-Intensity Interval Training (or HIIT for short). HIIT is exercise that consists of bursts of intense exercise, dispersed with short rest periods, similar to what you’d find at a circuit training type exercise class. Experts are saying that this approach to exercise delivers more benefits to health and providers for faster weight loss than traditional exercises like jogging. Boxing delivers this HIIT type exercise without having to think about it, amateur boxing rounds last only around three minutes each, in which the boxers will give their all to try to beat their opponent. Is Boxing Really That Intense? There are many people out there who may think they are very fit, but even the most conditioned runners will struggle with a few rounds of sparring in the ring. In research conducted by sports network ESPN, it was deemed that boxing is the most demanding sport out of the 60 that they examined. The research examined individual elements like endurance, power, strength, agility and hand-eye coordination, and boxing was deemed the most difficult, narrowly beating ice hockey. 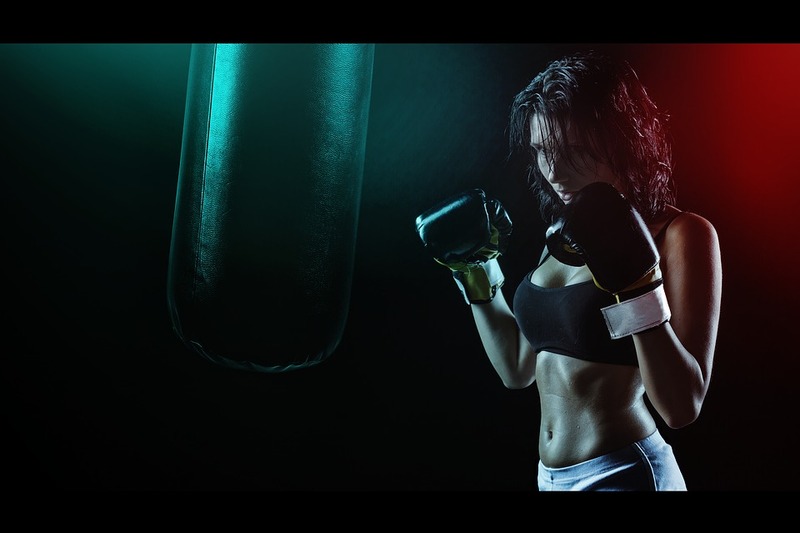 A boxing workout will require you to put all parts of your body to work. Just punching or kicking a bag will use your upper body, lower body and core muscles, as well as requiring your brain to ensure your hand-eye coordination is accurate. Sustaining this punching for any period of time will push your stamina beyond its limits, if you’ve never done it before, you will find you tire very quickly. You’ll also find that most boxing gyms will put you through your paces with other circuit training exercises, like the medicine ball, squats, the plank, and press ups. Whilst it may not sound very important if you want to get fitter and lose some weight, but developing discipline and being humble are important traits that help both in fitness and in life. 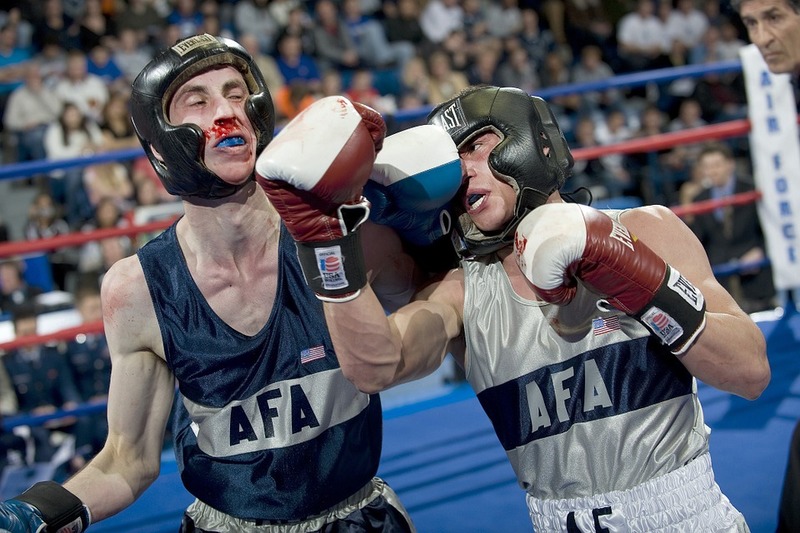 Boxing requires you to be disciplined, and being repeatedly hit by your opponent will help to bring you down to earth. Discipline is important to ensure your diet and exercise plan will be effective, without it you might find yourself cheating with an extra slice of cake, or missing a scheduled exercise session. Being humble will help you to focus on your goal and cut out unnecessary distractions, whilst being grateful for the results you achieve. Like all exercise, there are many benefits to both physical and mental health from taking part in boxing. Overall, it is a very effective way to get fit, lose weight, build muscle, develop better hand-eye coordination and become more disciplined.